"The only security you'll have in your life is what you create for yourself!" 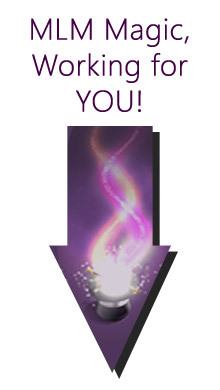 My Partner & Profit newsletter is chock full of information about how YOU can improve your Network Marketing business. The Partner & Profit newsletter is chock full of information and tidbits about how YOU can improve you Network Marketing business. I'm giving you a VIP look into what we teach our own downline...truly this can help to "blow up" your business. Get tips and proven ways to help your recruiting efforts to expand your MLM business. You will get some fabulous tips about developing your leadership abilities. Being a strong leader requires self-confidence and developing a strong belief system...the newsletter will help empower you as a leader and to fine tune your leadership skills. It's time to learn how "Faith + Belief" can work together to build your self-esteem, self-confidence and passion about who you are and what you do! "[David] explains exactly why the reader might not be seeing success in their lives…and in great detail. He then goes on to say that the elements of success are within each of us already"
"David covers something that I believe is maybe the most overlooked and under taught concept of success in the world and that is your belief system." Find out about the man behind the magic and how David can help YOU! See and hear David in action, feel the magic and see what the media say! 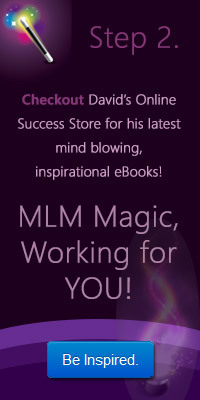 Check out David's leading eBooks to help make you an MLM Superstar!